It's the right and proper thing, he's the ideal hero for Christmas Day, he's as close as a hero can come to actually being Santa Claus! There's a slight flavour of Narnia in this one, yes - it's not the same story at all by any means. Last year we pretty much did A Christmas Carol beat-for-beat, but this time it's just a sort of flavouring of that really. The Doctor ends up in debt to someone, his life is saved by someone, and a few years later he returns to save their Christmas because these children have just lost their father - of course being the Doctor he just endangers them terribly, but that's sort of what he's like. It's an imaginary film. David Yates - a very brilliant director - was talking off the cuff and slightly off-message. We're not going to do a film of the nature that he described, which would be rebooting the story and having a different Doctor and being in a different continuity - that would never happen, that would be insane and that would be insulting to the audience. I hope one day we will do a film, maybe even soon, but it will be very much an offshoot of the television series with the same Doctor and all that. (and you doing it?) Yes. 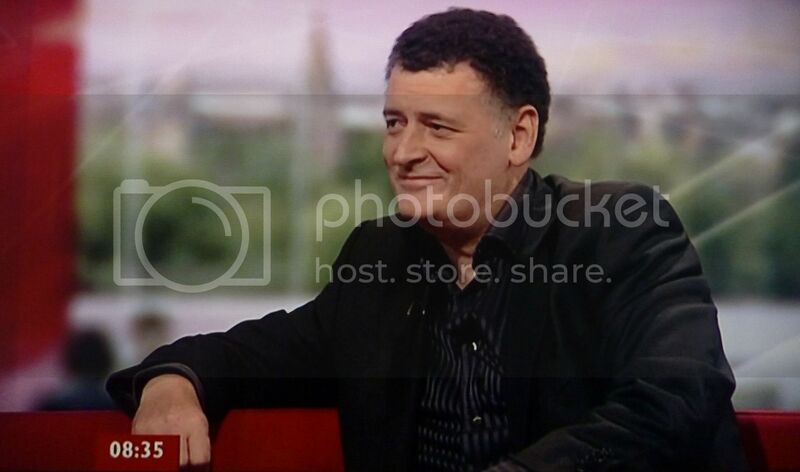 The interview is available to watch via the BBC Breakfast site until the 27th December.